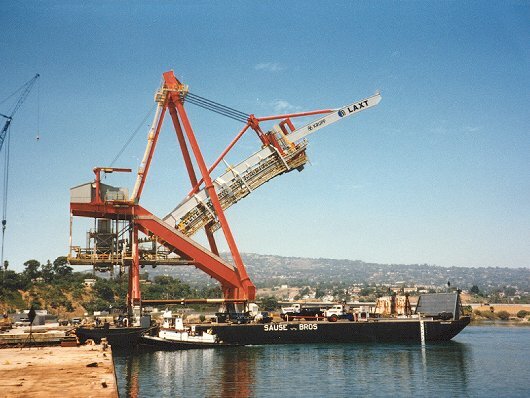 A Krupp coal loader, assembled at the old Todd Shipyard site in Los Angeles by Bickerton Iron Works, was delivered to its final destination at berth 301. 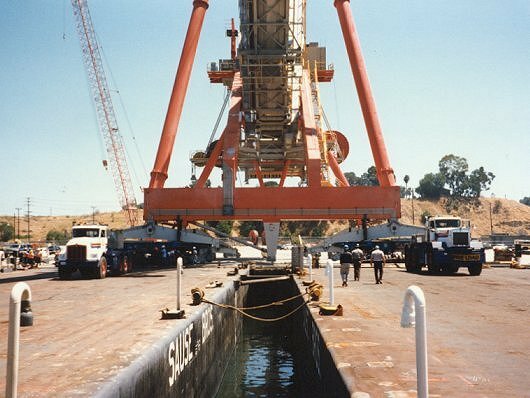 For the transport, two 242 x 60 x 16 ft flat top cargo barges were used. 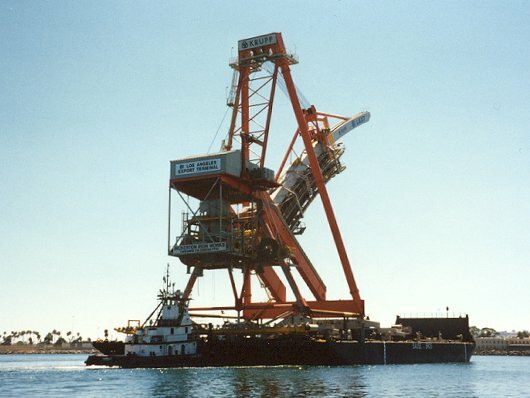 These barges were temporarily connected together in a 130 ft wide catamaran configuration with hinged spacer beams and bracings. Once loaded, the Krupp Coal Loader would span both barges. Steel bridge pieces spanned the gap between the barge sterns and the quay. 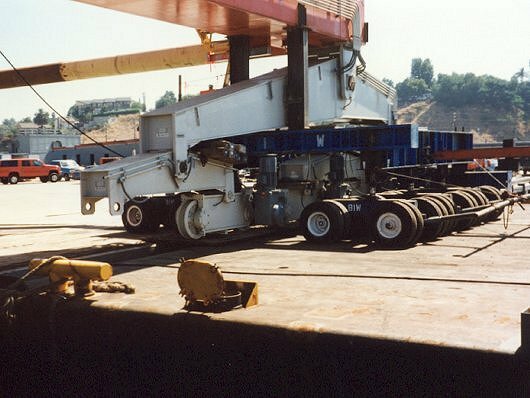 On July 31, 1997, with incoming tide, the loader was rolled onto the barges and lowered on temporary blocks. 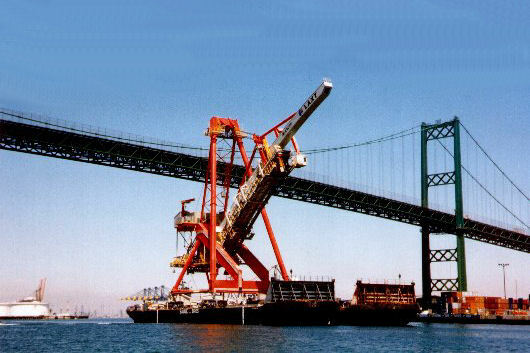 Next day, at low tide, the barges were towed under the Vincent Thomas bridge with 8 ft clearance. That same night, just after high tide, the loader was safely rolled off the barges and lowered onto its rails at the new berth.